Reconditioning of all types of cylinder heds fabrication of valve seats, valve guides, metal stitching of cracked cylinder heds, changing of injector sleeves, changing of injector sleeves, exhaust valves seats & exhaust valve degree stelliting and grinding to original angle is done by us. Cylinder Head [5 Holes] suitable for Lister Engine used for agriculture , Engineering & related field. 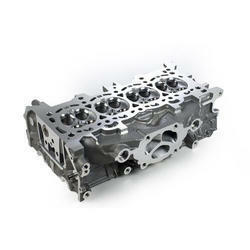 We offer a wide range of aluminium cylinder head. These are offered to our clients at industry leading prices. We never compromise with the quality of our products and always try to incorporate the latest technologies so that we can avail you the best products in the industry. The Cylinder Head helps in closing one end of the cylinder. 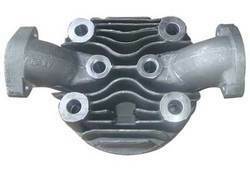 The main function of the cylinder head is to seal the cylinder block and to permit entry and exit of gases. MSGP Cylinder Head is Robust.Ensures optimized combustion.It is a precise fit for your Maruti. With Aluminium anodized body, floor brushes and rubber lips for optimal suction, 4 wheels, flexible suction connection ø 38, for optimal cleaning of big tile and mosaic pools up to 20 x 10m.